The outline planning application will confirm certain design related details such as scale, mass and height which will be determined by Mole Valley District Council. Details confirming the exact appearance of the building will not be submitted with the outline application, as those details will be submitted as a later separate detailed planning application, at which time further public consultation will be undertaken. 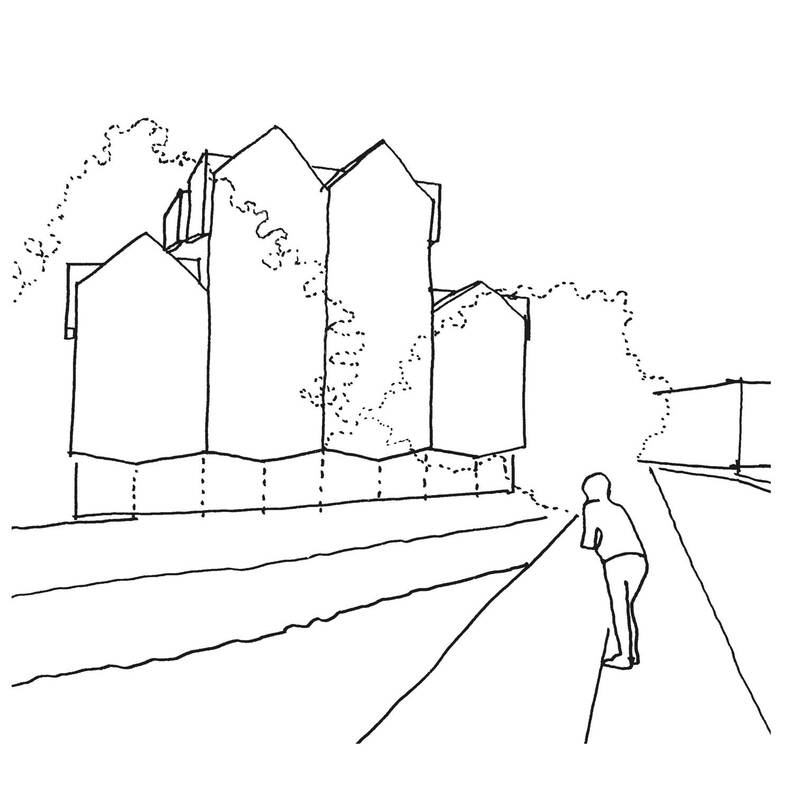 Throughout Surrey there are examples of landmark mill buildings along waterways which provide a focal point for riverside and community activities, enlivening the waterfront. The form of the building and expression of balconies has been conceived as a series of boats placed adjacent to one another. 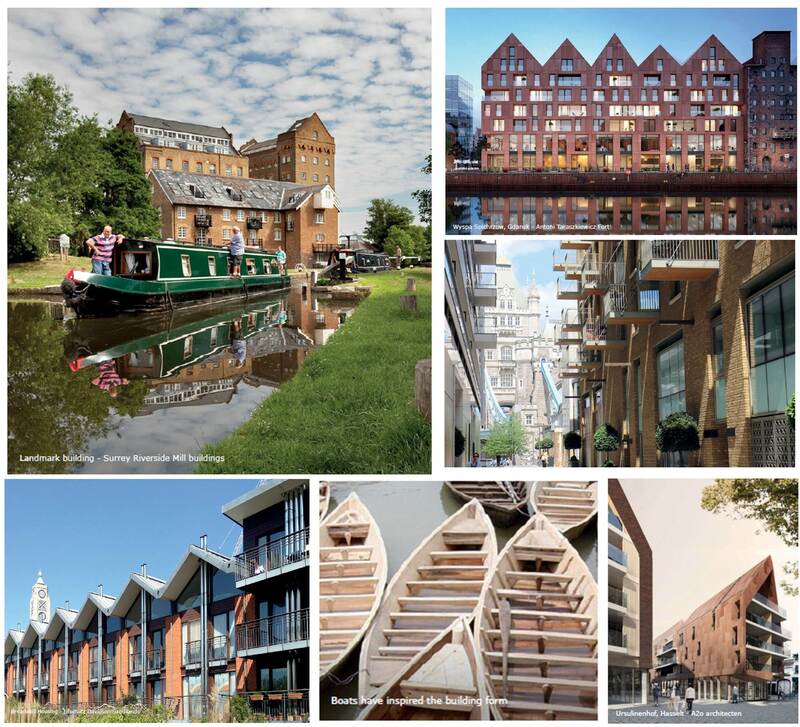 The below images show examples of how this riverside theme could be continued into the detailed architectural expression of the proposals. Download a PDF of the Riverside inspiration images. Download a PDF version of the Current Proposal here . Options for variations in the roof form have been explored by the design team. We would welcome your thoughts on the online feedback form. This option presents a more varied stepped roofline by reducing the segment adjacent to the bridge by one storey and increasing the height of the adjacent segment by one storey. The wing next to the Running Horse Public House to the north and the segments adjacent to Kingdom Hall to the west remain unchanged as in our current proposals. Download a PDF version of Option 1 here. 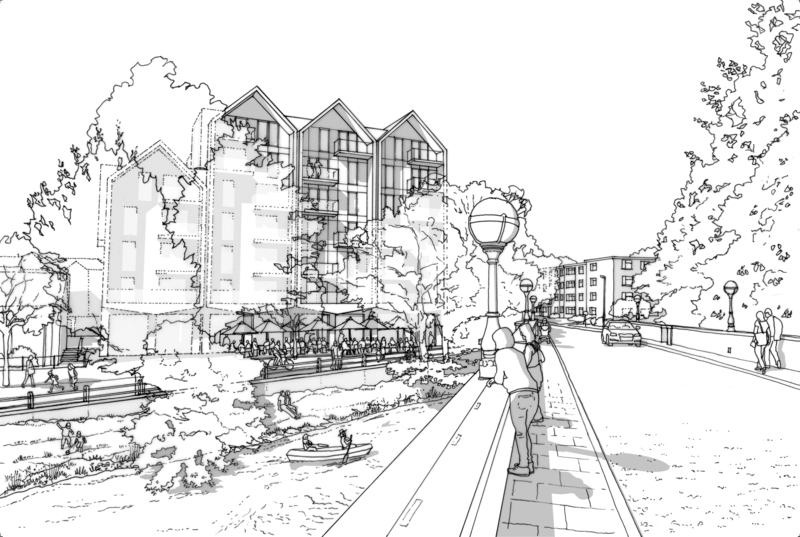 This option presents a consistent six storey height along the river frontage. To achieve the same number of residential units as the other options, the wing adjacent to the Running Horse Public House would also have to be six storeys tall, which is taller than our current proposals. Download a PDF version of Option 2 here. 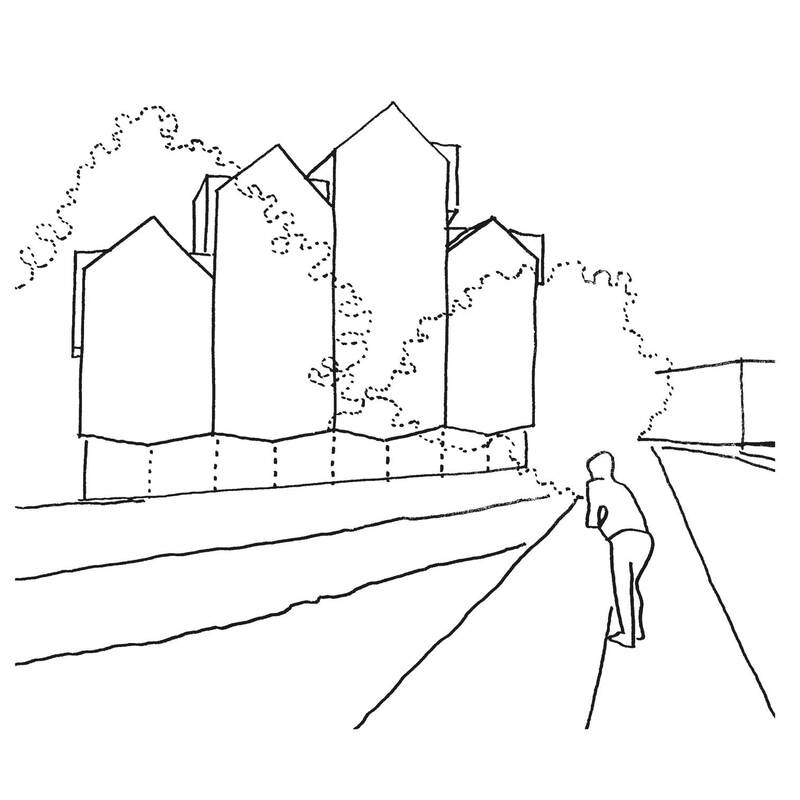 This option reduces the height of the segment adjacent to the bridge to five storeys, and increases the height of the two central segments by one storey to create a symmetrical composition. 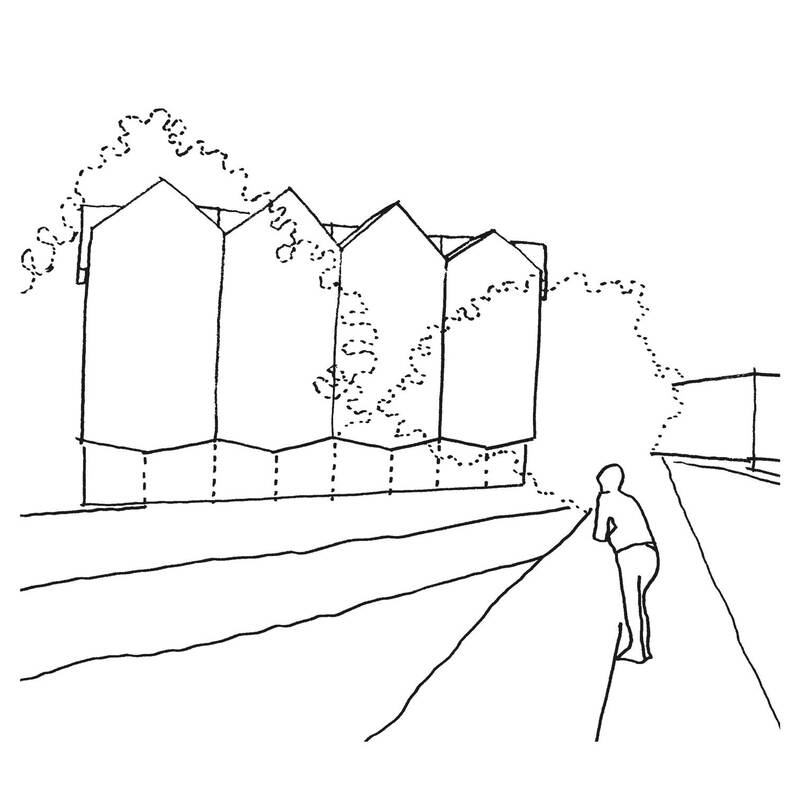 The segments adjacent to the Running Horse Public House to the north and the Kingdom Hall to the west remain unchanged as in our current proposals. Download a PDF version of Option 3 here.